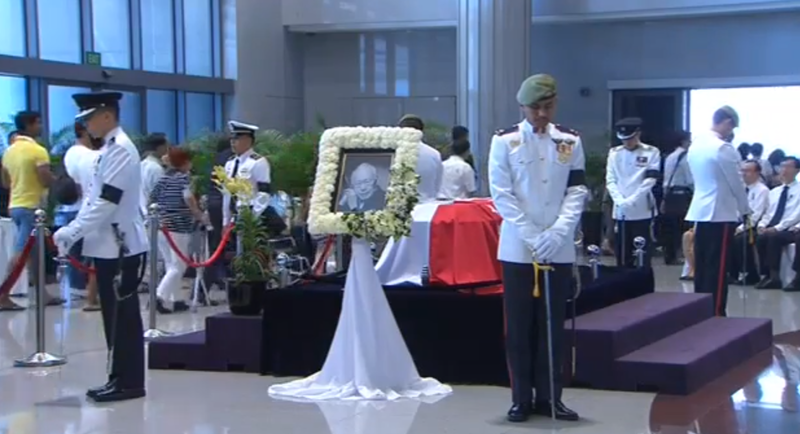 Prime Minister Lee Hsien Loong has just announced that a live feed of Lee Kuan Yew’s Lying in State has been set up. With the mammoth queues of people hoping to pay Mr Lee their last respects, PM Lee has mentioned that not everyone may be able to go. Today is the last day that visiting hours to the Parliament House will run for 24 hours. I am deeply moved by the overwhelming response of people wanting to visit my father’s Lying in State at Parliament House. As the queue is very long, and not everyone may be able to go, we have set up a live video feed of the Lying in State, so that you can follow what is happening there. Will this be good enough to keep people from joining the queue? Who knows.